Duncan McDougall led an interactive presentation for 62 children and their families. At the end of the presentation, each child selected two new books to keep from hundreds of titles. CLiF awards Summer Readers grants to organizations serving kids at high risk of experiencing a “summer slide” in literacy skills. Research shows that children who don’t read over summer vacation tend to lose literacy skills, while children who do read improve their reading abilities. Low-income children and youth often experience greater summer learning losses than their peers. 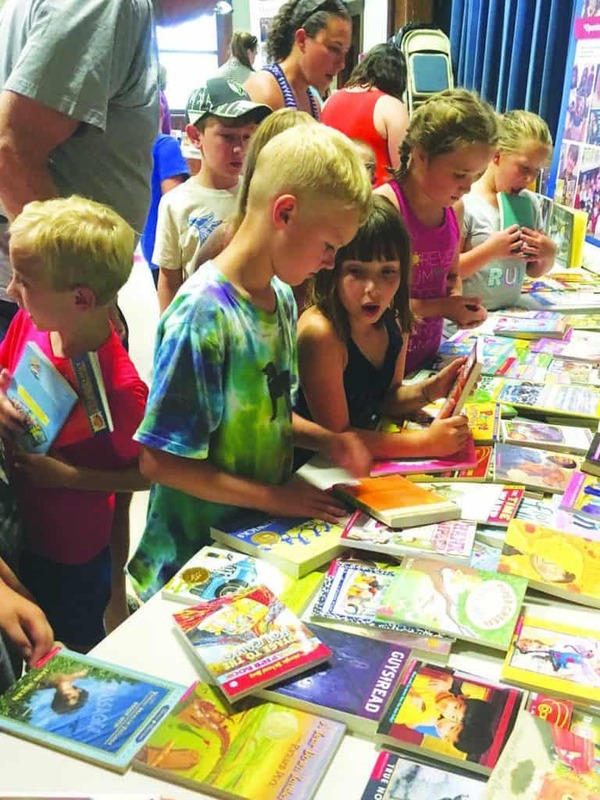 The goal of the summer reading program is to provide rewards, incentives, and encouragement throughout the program based on individual reading goals. Students get a look at some of the books at the Maclure Library last week.